An alluring navy blue suit, fashioned in bhagalpuri silk which is a distinct piece that makes for a bright and trendy addition to your closet. 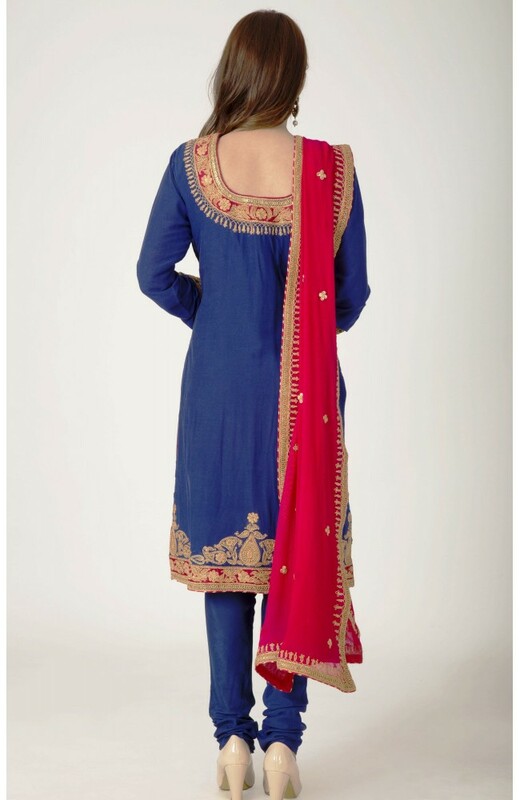 It has a magnificently fine marori and sequence embroidered hem and yolk. 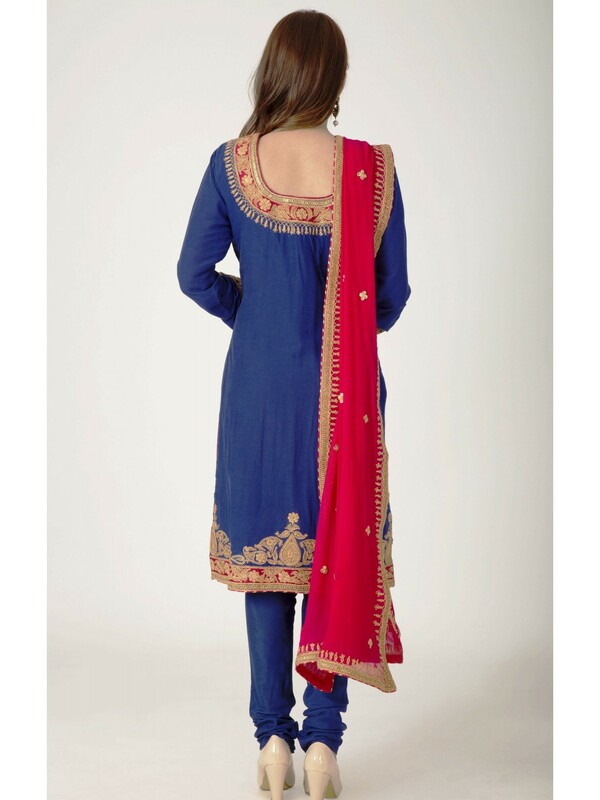 This set comprises with a red colored chiffon dupatta and a stitched shantone chudidar bottom. Brand - Ranas has been the favorite saree shop for Brides since five decades. At Ranas, we always strive to offer you the best of Designer Sarees, Lehengas & Suits, to match your style.